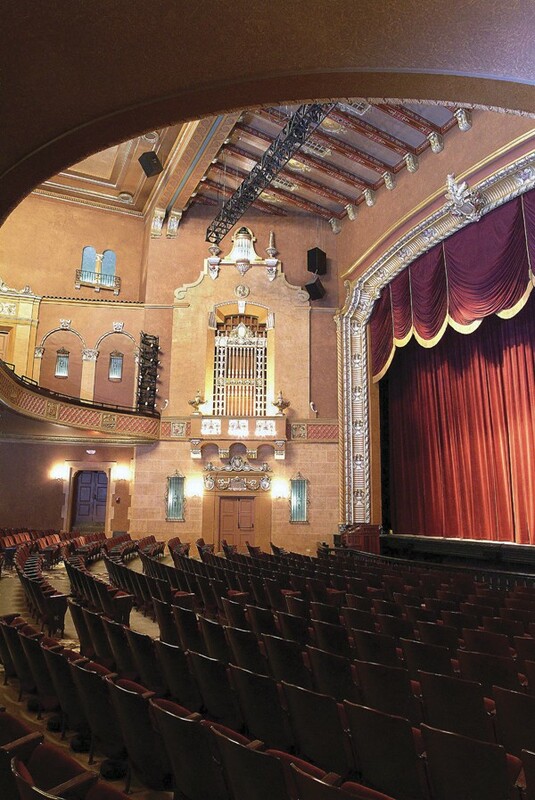 To restore the Jefferson Theatre in Beaumont, Texas as part of a revitalization of the downtown district. As the downtown had deteriorated, so had the theatre. An assortment of owners through the years left their mark on the theatre, including a one-color paint scheme, which destroyed the beautiful rich Mediterranean colors that originally adorned the theatre walls. After serving for decades as the focal point of the community entertainment for citizens of Beaumont & Southeast Texas, by the 1970s its future outlook was bleak. Due to economic conditions, the Jefferson was closed as a movie theatre in 1972. Conrad Schmitt Studios conducted an investigative study that revealed the original decorative painting and intricate stencil work of the 1,500-seat Jefferson Theatre (1927, Emile Weil). The restoration, with the recreation of the original stencils and decorative scheme, included extensive gilding and glazing, reclaiming its former beauty and receiving the 2004 “Best Restoration Project Award” from the Preservation Society and Beaumont Main Street.